By Donating high-quality items to St David’s Hospice Care, you can help us raise vital funds for patient care. 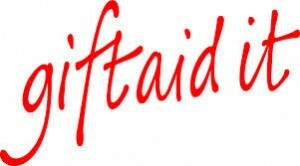 If you are a U.K. taxpayer, you can help raise even more money by completing a Gift Aid form when you make a donation of goods, enabling St David’s to reclaim tax worth 25p in every £1 received through items sold. You will receive a unique ID number and a Gift Aid Card which can be shown each time you make a donation. St David’s Hospice Care will receive 25p for every £1.00 donated. This means that every £10.00 raised becomes £12.50—at no extra cost to you! Just think what a difference that could make to help us care for more patients and their families.